The automotive market has changed. The buying market is more focused on what they can do IN the vehicle. As a result, acoustics has become a reason to buy, not only an important quality criteria. As a key part of the customer experience, the sound of the vehicle provides the occupants with owerful information abotu speed, road conditions and the environment surrounding the vehicle. Acoustics performance has been and will continue as a crucial attribute of the vehicle. Traditional internal combustion engines have challenged to acoustics engineers relentlessly for decades to make them quieter or powerful. Electric vehicles are quieter, but have created new class of challenges for sound designers and engineers. 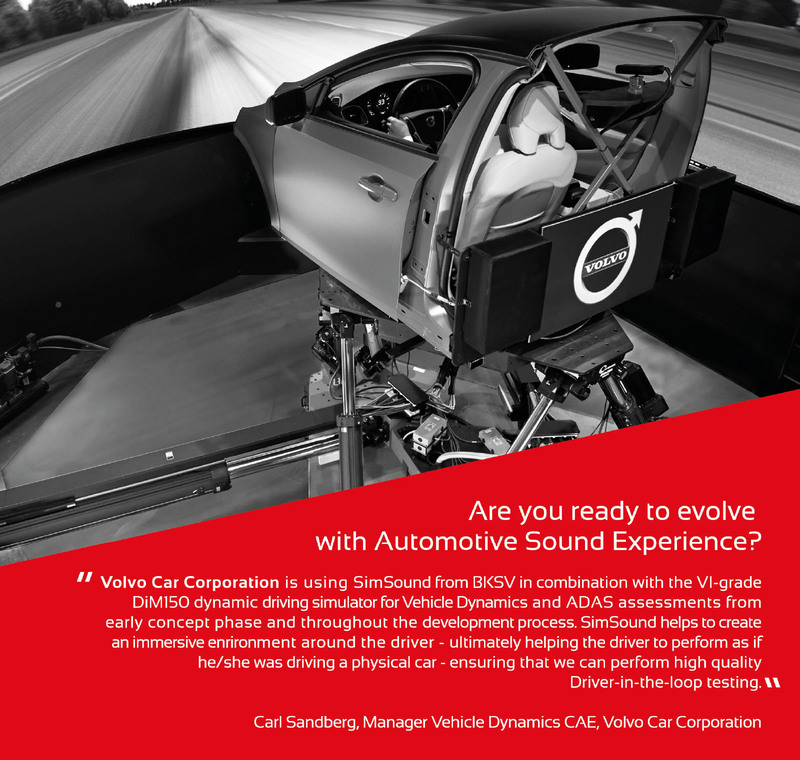 VI-grade Driving Simulators enable acoustic engineers to experience the sound of the vehicle you're devleoping with a fully immersive driving experience. It's as close to reality without having to build a prototype. VI-grade can identify and record acoustic sources in real working conditions, simulate the acoustic interior environment, synchronize recorded sounds with driver-in-the-loop systems and give the user the possibility to tune different sound sources.